Where My Heart Lives...: Are There Haylofts in Heaven? My soul cat Indy left for Heaven yesterday. With only 30% kidney function, life wasn't much fun anymore. 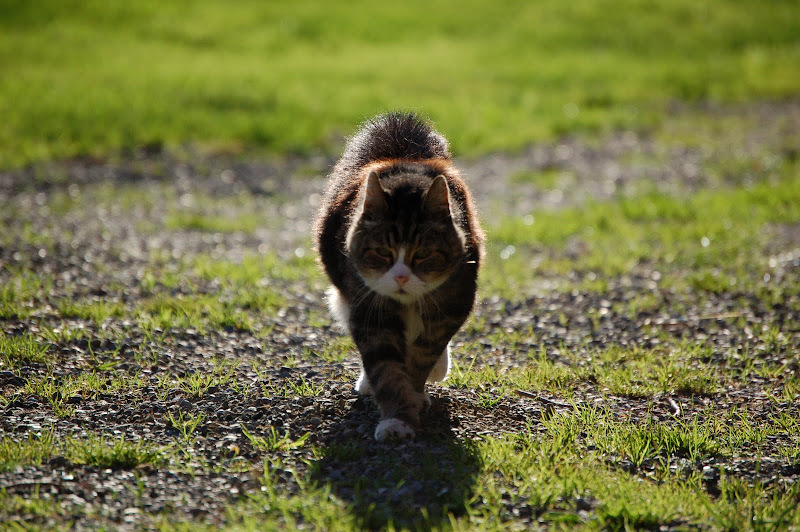 It was hard to say good-bye but so easy to make the decision when he'd lived 14 grand years as the boss-cat of our farm. You've met him here twice in "Indiana Jones Lives in my Barn" and "Sunshine on Petunias and Whiskers on Old Barn Cats" --- and he graces the header above with his wizened and wise old face. The mice population will grow in his absence, I'm sure. Barn swallows will no longer fly low in his barn, warning him to stay away from their babies. I'll miss his head bumps as I catered to his every need during these last days of summer. God Speed my old friend. I know there's a hayloft waiting for you in Heaven. I will miss him. No more calling him early in the morning so as to give him his breakfast. I will miss his bumps and meows too. See you on the flip side Indy! Well, crap. It's never easy saying good-bye. 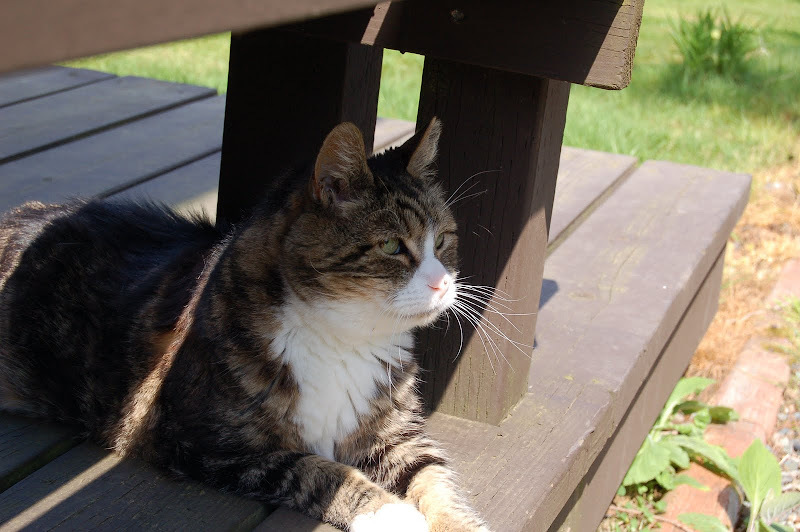 14 years is an extraordinary lifetime for a barn cat - I'm sure he was pampered every minute of his. Hugs from all of us. Oh, Sandy, I'm so sorry for you and Bruce. Losing one of our animal companions is so difficult. Good thoughts from the Cardis and me. Bummer! Godspeed, Indy. And yes, of course there must be hay lofts in heaven. If not, then how would all those critters waiting at the Rainbow Bridge eat, play on the rope swings, hide, play chase, etc. etc. etc. (If not, then I don't want to go, either. ;-) ) It seems that your little world in this area is slowly going; a piece at a time. Perhaps a puppy might heal the hurt?? I am sorry for your loss... it's very sad losing an animal friend. Indy looks adorable! Maybe he just didn't want to move to New Mexico. I'm sure there are haylofts in heaven and he is in one already.